We know kids of all ages love footie pajamas. Our footies are playful and cozy—a simple option for children whose toes get cold. Ideal for naps and sleepovers, your child will love the light-hearted patterns and sense of whimsy. They’ll snuggle under their covers while you read a classic bedtime story. Popular Classic Buffalo Plaid Fleece Hoodie Footy Onesie Pajamas with kangaroo pockets for kids. These fleece footy onesie pajamas with a hood are soft and warm! Boys and Girls will love this red & black checkered print. You might like the matching onesie without feet for kids. 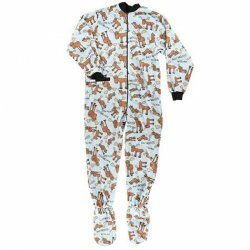 These warm fleece footy pajamas for kids are in fun "Ugly Christmas Sweater" print with snowmen, skating polar bears and penguins, Christmas trees and stockings. 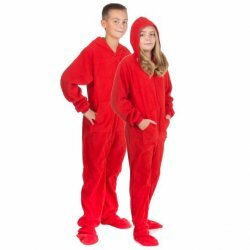 This unisex fleece onesie has a zipper front and non slip soles. Check out the matching footy for adults. 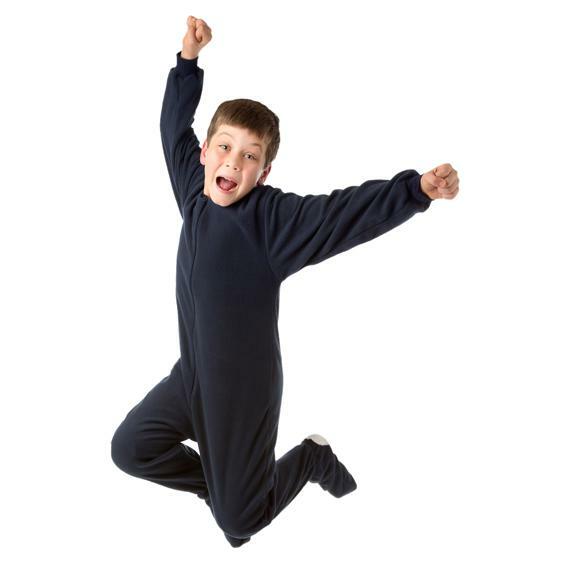 Here's a footy pajama just for kids in warm and cuddly micro-polar fleece. This pj has a zipper front from ankle to neck. Be sure to check out the matching red fleece footy for adults perfect for your next matching moment! Available in infant, toddler, and kids sizing. Check out the Big Feet kids collection in navy, pink and green camoflouge. The View, CNN, Fox News, ABC’s “Cougar Town,” Talk Soup, Big Brother, It’s Always Sunny in Philadelphia, Gene Simmons Family Jewels, JONAS, Yo Gabba Gabba, Tyler Perry’s House of Payne, The TO Show, The Real World and many more. 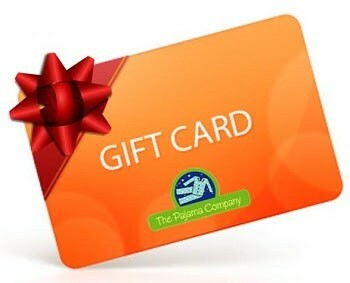 Be sure to check out the matching footy for adults, perfect for you next matching moment! You may also like this footy for kids in red or navy. Choose this footy today in infant, toddler, and kids sizing. Big Feet Pajamas have been seen on The View, CNN, Fox News, ABC’s “Cougar Town,” Talk Soup, Big Brother, It’s Always Sunny in Philadelphia, Gene Simmons Family Jewels, JONAS, Yo Gabba Gabba, Tyler Perry’s House of Payne, The TO Show, The Real World and many more. Kids will love this warm and cuddly micro-polar fleece footy pajama from Big Feet Pajamas. This footy has a zipper front from ankle to neck. Available in infant, toddler, and kids sizing. You might like the matching footy for adults. Kids will love this footy pajama in warm and cuddly micro-polar fleece. This footy reatures a zipper front from ankle to neck. Make sure to check out the matching footy for adults in pink and green, perfect for your next family matching moment! Kids sizes XS, S, M and L. You might like the matching footy for women. Kids will love this green camoflouge footy in warm and cuddly micro-polar fleece. This pj has a zipper front from ankle to neck. Kids sizes XS, S, M and L.
'Tis the season for matching family pajamas. These cheerful polar bears will put a smile on your baby's face. You might love the matching union suit for men, women, kids as well as our matching women's nightshirt and long john set.